I received a Kindle for Mother’s Day (I hinted I’d like a book, got a lot more than I bargained for. 😉 ) and despite my initial aversion to the principle and staunch defense of real paper books, I LOVE it. It is so practical, easy to carry everywhere, thousands of books at your fingertips, no more running out of reading materials ever again. That thought is extremely satisfying. Finally, as my children grow older, I find more time to read again, and the Kindle is truly the best present I ever got. The Collection Privée has captured my attention and my heart at the moment. I have loved New Look 1947 and Mitzah since they came out, but Ambre Nuit is a recent discovery and a great love, although I had previously dismissed it (another example to prove one should never do that!) and the new Patchouli Impérial is in heavy rotation as well. But I’m not done yet. Two new releases, Grand Bal, a jasmine fragrance, and Oud Ispahan, a rose-oud-amber perfume, have me slightly obsessed these days, and that is without yet smelling them. I usually go with Winston Churchill when it comes to sports, but a recent awareness of unmistakeable signs of inexorable decline into old age brought about by my birthday, launched me into action. I used to dance ballet as a child and Pilates reminds me of that. I abhor hopping around, or running in circles, so the calmer pace of Pilates suits me just fine. I am lucky with both my metabolism and my body shape, but I have to do a little bit to keep healthy, strong and mobile as I age, and this seems to be the perfect solution for me. What are your favorite things this season? This entry was posted in Dior, Dior La Collection Privée and tagged Cassey Ho, Dior La Collection Privée, Kindle, My Favorite Things, Pilates, shopping. Bookmark the permalink. We are in Autumn right now so the squishy sandwich jaffle maker is getting a work out. Autumn says Andy Tauer to me, Trussardi and a little Madame Rochas Intense EdP. Exercise? Um does walking to the fridge count? Sun and sunny perfumes are my favourite things for the season, I am wearing Bois D’Argent today which would indicate cold weather with heavy rain and flooding. I am also a kindle convert and have also converted my Dad who said he would always stick to ‘proper’ books. Exercise, I used to run marathons and do triathlons, sadly my training has taken a back seat but I still like to be in the gym and train when ever possible, I would love to be able to do pilates but I find myself getting agitated and as soon as they say now relax your mind, mine goes into overdrive, I can relax better when running. Wow, you competed in Triathlons? I’m impressed! I have finally learnt how to download movies onto my TV, so with the wonderful summer weather (read rain and wind), my house has become one long movie night – hurrah! I bought the Amouage sample set last year, and enjoyed it but wasn’t really blown away (too soon maybe). I am slowly rediscovering it, and what a pleasure. Lyric is beautiful but Epic has shot to the top of my wish list. Eating (oh well) I am having a Mexican food moment: I blame Thomasina Miers. Movie nights – love them! So glad you are coming around to the Amouages. Epic was my first Amouage FB. My DH wants a Kindle Fire. I have to say, they do look convenient…. I run for exercise, but yesterday was my Worst Run Ever. The tropics in summer is not a gentle place to run. I ran into a mile-wide cloud of no-see-ums (biting gnats), and couldn’t get away. Then it started raining! I came home, nearly insane from the thousands of gnats clinging to me, bit to pieces and soaking wet (rain does not dislodge biting gnats, apparently). I itched all night and had insect nightmares. I miss the Alps!! I have yet to decide to get an electronic reader. But I can definitely see the draw of it. Like you I am a defender always of physical books, but I am trying to get over that enough to think about a kindle or nook. So glad you are loving your kindle! I’ve been thinking about trying Pilates or yoga for exercise. I feel like it would be a great way for me to stay active. I also like that you don’t need any extra equipment. You may love yoga too!!!! I teach yoga, so I am of course partial to it. The way I teach is creative, fluid and dance like. I am a wanna be dancer, but the way I teach yoga fills that as it is creative flow. My kindle is acting up, and I don’t know what to do!!!!! I am going to call the company, because now I am spoiled, even though I still love books with pictures and magazines (the european ones, that is). It would be a bit far wouldn’t it. 😉 You never know, within the next couple of years, I plan to do more travel and teaching, so if you find a good studio, perhaps I can check it out, and create a workshop. Workshops are fun, and a way to throw yourself into the flow, for some exploration. I’m enjoying having my daughter home from university for the summer. After 9 days in Paris, I realized that I don’t need to run and/or ride 6 days a week to stay healthy and fit, so I’m walking more now, which can be a hard thing to do in suburban, car centric California. I’ve been trying to find new green floral fragrances to wear, but haven’t found anything that strikes my fancy as well as what I already have. So I’m renewing my love affair with my Chanels. No.19, Rue Cambon, Cristalle, Cuir de Russie, and Bois des Iles. Just before our trip, my husband bought a new iPad, which I totally love and adore. The display is amazingly crisp. And I adore having my books, music, video and access to the internet all in one handy gadget. And I will admit that I pray at the altar of Apple. Nothing please me more that observing how many people had iPhones in Paris. And I did I mention how much I love having my daughter back home, even though I had to give her horse back to her? Ah, the Chanels, I wear them a lot too this time of the year. We are Apple admirers too here, an iPad makes life so much easier. 🙂 Enjoy the time with your daughter. Hoorah! Glad that the Dior Collection Privee is getting more praise. I think they’re very worthy of it. Good question re: favourite things, as I’m feeling a bit glum and could do with counting my blessings… So, my favourite things at the moment are: i) a totally OTT blue velvet cape-type jacket with peacock feather detailing that I treated myself to. I will probably never wear it outside of the house, but I am lucky that I could have it, even if only as a housecoat! ii) the Luckyscent samples that are winging their way to me – looking forward to experiencing some totally new scents; iii) a lovely cup of Georgian blend loose leaf tea made for me by my lovely other half; iv) a book of Times Crossword puzzles. I can’t do ANY of them, but I’m quite enjoying the bafflement. 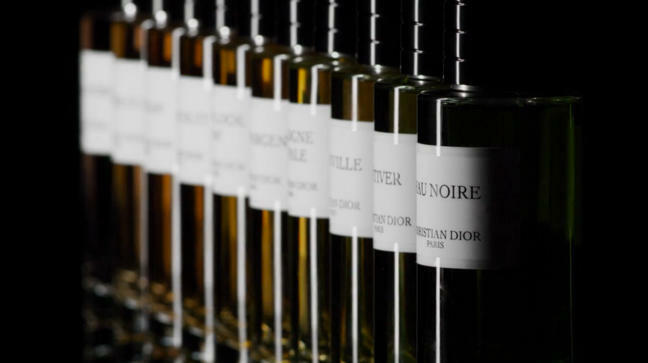 We’re getting into winter on this side of the world and yes, all the gourmand perfumes are out of the closet. My favorite at the moment is Coromandel and I can’t get enough of my SL feminite de bois… I got the new iPad for mother’s day and boy ooh boy! The long nights with the baby are much more enjoyable as I get to read my fav blogs on perfumes…as for Gym, well it’s a distant memory at present but I plan to get more active soon so thx for posting the thread on Pilates, I might give that a try. Love my Kindle too! Mine’s the more basic one. I too resisted for the love of a weighty paper novel. But it’s so convenient. I find that I carry it with me. I read in a waiting room, instead of playing Angry Birds! Great on the plane too. The hubby has the Fire, great educational kids’ games. As for current ‘fume , my SSS Lieu de Reves arrived on Wednesday! So clearly I’m in love! Also wearing Lauder’s White Linen and Private Collection pa, as well as Apres L’Ondee quite a lot. Fresh and springy! The gym? Trying. I too have been blessed w ith a long and lean physique and speedy metabolism. But have been bored. Need a new routine. Love yoga and my Winsor Pilates though! Also got back in the pool lap lane for the first time on Monday since racing in high school. My favorite things at the moment: running, pilates (I hate yoga–find it difficult for some reason– but love pilates), fresh strawberries, strawberry ice cream and MDCI Chypre Palatin. Of the latter, I’d love to send you some if you haven’t tried it yet: it’s a chypre that even non-chypre wearers would like, I believe … rich and oriental leaning, and it’s from one of your favorite perfumers, Betrand Duchaufour, so I think it’s very you! Ah, I am so curious about Grand Bal. Ambre Nuit is baaaaaad on paper, it really needs skin to bloom. If you’d be so kind, I’d love to try Chypre Palatin. I had hoped to smell it in London, but it was not at the Haute Parfumerie yet. It sounds wonderful. I absolutely adore my Kindle and I’m glad to see that you’ve been bitten by the Kindle Bug too, they really are excellent. What book are you reading at the moment? I think this season could be the season of the Aqua Allegoria’s for me. I have a bottle of Lys Soleia on the way because it really is beautiful and I’m seriously crushing on Pampelune too. Thank God they are so affordable! I hope Grand Bal is knocking my socks off, I had the opportunity to try Oud Ispahan in the meantime, and sadly (or fortunately?) it is not for me. Glad you are getting Lys Soleia, when I was testing it I thought of you all the time. Awesome, I’m a huge Stephen King fan too! I haven’t got around to the Dark Tower series yet, he can be hit or miss on occasions and I’m worried it’ll be a miss for me. Weird I know. Do you have a favourite SK novel? Grand Bal sounds lovely and part of me hopes that it will be a sock-blower-offer, but we’ll have to wait and see. The Oud has a lot to live up to if it wants to sit along side Leather Oud. That’s sweet that you thought of me when you were trying the Lys Soleia, it really is “my kind of thing” but I was surprised by it because the floral AA’s tend to be on the naffer side of things. One favorite thing is five weeks of vacation which starts tomorrow! Lots of time for perfume testing! Favorite thing number one right now-Midnight sun! This looks odd, why do I suddenly have Suzannes gravatar?! Sorry Suzanne! I meant to ask, is there a big difference reading books on the Kindle compared to an Ipad? Hey lovely Eva, I would gladly share it with you (and only ask you for some of that Swedish midnight sun in return) 🙂 but on my computer it looks like you have one of the standard gravatars (in other words, not mine). 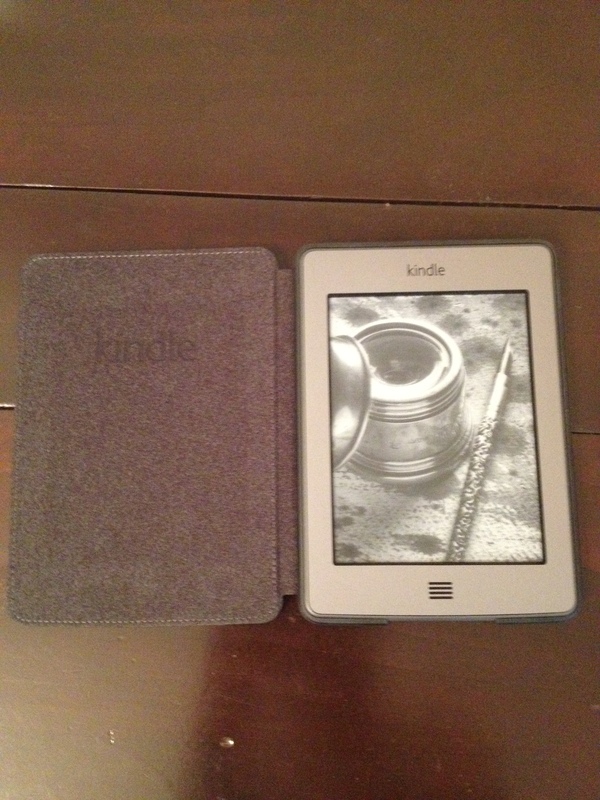 I prefer to read on the Kindle, since the eInk technology is truly awesome. Plus you can read in every light condition, in bright sunshine or driving rain, and it is smaller and lighter. Great! Have a fabulous five weeks! Ooh, I used to do Pilates, then my teacher went to New Zealand to live, and I stopped dead in my tracks. But I do own a mat and a book so the answer reall is in my hands…and spine etc. I hope the delivery of the bookcase is less comparable to a mother’s from her baby. I’m in between sports now, trying to figure out what I hate less. I might try your videos. 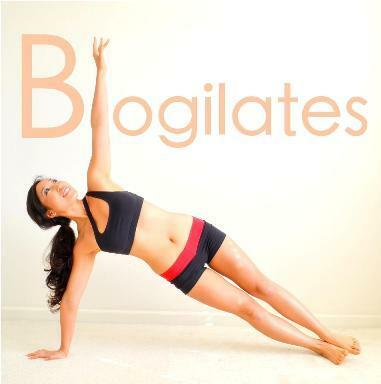 You are no loner doing Bikram Yoga? You have been my shining beacon if discipline!!! I love that magnetic snap on the Dior bottles as well. The tactile details are so satisfying. And I love my Kindle, too. Though we now have an iPad also, the Kindle is more convenient for reading books, and I love it’s small size. If I had to add an item I am loving right now, I think it would be biking more often. It is a new activity for me (I always have to mix up activities, as I get bored), and it’s a lot of fun. So many have a Kindle already, and I have not yet heard anyone who was not satisfied. I love the feel of books but the fact I read so much and books sort of appear everywhere, getting a Kindle is so much more economical in a myriad of ways (not to mention the fact some books are significantly cheaper in e-format). I’m also gald to hera you enjoy pilates, it’s the type of exercising I hope I’ll be able to continue doing till the end of my days. It just makes me feel so much better. Combined now with running, it’s truly great what it does for the body. Everybody is so happy with the Kindle. It is truly an awesome invention. I’m always happy to hear I got someone into pilates (I just wish it would work on my mother too).